Why Are There No Movies About Regular Dreams? By now you are aware, or have been shamed by not knowing, that Inception revolves around some bad, bad dreams: While buildings crumble, snow soldiers activate, fancy hotel hallways become unmoored, and pee-rain falls, Leonardo DiCaprio and his somber crew of idea extractors/inceptors traipse inside other people’s dormant heads, fighting their way through unresolved personal issues and plot contrivances to get back to their real consciousness. It’s totally sweet! And it’s also made us wonder: If innovative directors like Christopher Nolan can build commercially and critically successful movies about bad dreams, why hasn’t anyone tried to do the same with regular dreams? Bad dreams — and people entering other people’s dreams to either wreak havoc or battle evil — have been a reliable plot device for Hollywood, from Nightmare on Elm Street to Dreamscape to The Cell (to other stuff that we don’t recognize that comes up when you do a keyword search for “dreams” on IMDb). There are also lots of movies with twisted dreamlike scenes and plot developments, most notably in stuff from David Lynch and Terry Gilliam; those scenes aren’t explicitly dreams, but are definitely dark. And there are even movies that turn out to be nightmares in the last scene, like — spoiler alert — Vanilla Sky. Then there’s Field of Dreams, which sounds like it might be about good dreams, but is actually about dead people playing baseball. There’s also What Dreams May Come which, again, sounds promising, but is actually about dead people not playing baseball. So where are the movies about regular, everyday, non-terrifying dreams? You know, where you’re in your third-grade classroom but it actually looks like the living room from your last apartment, but you know it’s your third-grade classroom and a guy whom you used to play basketball with is teaching you how to yo-yo in Portuguese and you can understand every word even though you don’t speak Portuguese? Those are the dreams people are actually having! 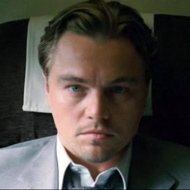 Hollywood glamorizes slick nightmares, but — with all due respect to Inception — the next time an attractive, well-dressed man pops up in our dreams trying to steal our corporate secrets, it will be the first. So, why can’t real people’s dream experiences be represented onscreen? Sure, it sounds almost impossible to make an interesting, logical movie about mundane, nonsensical, average dreams. But has anyone tried? With the financial success of Inception, Hollywood will presumably now be extra-receptive to dream-movie pitches. Is any brave producer or director willing to buck the trend and option the dumb dream we had last night? M. Night Shymalan, maybe?